Thank you for visiting DinaRomero.com. 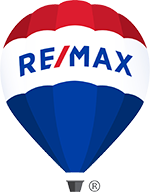 I encourage you to return any time you want to run a home search, find the value of your home, get local neighborhood and school details, mortgage information, interactive maps, or any other real estate related information. Feel free to contact me whenever you need a Realtor, if you are considering buying and/or selling a home, or simply have real estate related questions. You can reach me by calling 909-260-0142 or emailing me at calldinaromero@gmail.com. Thank you for visiting my web site, come back as often as you like!